For over 20 years, Diamondback Plumbing has been the local leading plumbing service company that has established themselves as the most trusted plumber in Phoenix. 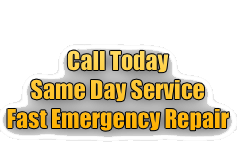 We are well known for providing our residential and commercial customers great service and reasonable pricing. Is a clogged drain giving you trouble? A drain that does not work properly can be a source of stress. We can help you fix that. It does not matter where the clog is – the kitchen, bathroom or your sewer lines. It does not matter whether the clogged pipe is small or big. We can fix that, too. Make sure that you have every tool you need on hand – hook, plunger and a plumber’s snake to remove clogs. Get some boiling water and pour it down the shower or bathroom drain. Give the water time to work its way down the drain and through the obstruction. Get your plunger. Using push-and-pull motions, try to suction the clog off the drain. You can pour baking soda down the drain and follow it up with some vinegar. Again, push the plunger in and out to undo the clog. If this step fails to be effective, you will have to go down on your knees for some serious work. Take off the drain cover. Put your hand into the opening and try to reach for the clog to pull it off. Use the plumber’s snake or the hook if the clog is too far down to reach with your hand. If the clog still refuses to budge, maybe it is time to call in a professional plumber to help you out. Unlike bathroom clogs, a kitchen clog may be a result of a combination of things – grease, fat, oil, hair, and slivers of food. Approach the problem the same way you would a bathroom clog. There is one additional step – you have to remove the sink trap. The clog may not be in the trap. If all of your efforts and not resolving your clog, it is time to call in Diamondback Plumbing. A clog in the sewer lines is definitely not a job for the amateur. You are doing yourself a big favor by getting in touch with a professional plumber at once. Clearing a clog in the sewer line is time-consuming, difficult, and quite messy. It is not a DIY project. How can you tell if the sewer pipe is clogged? When your drains gurgle every time water gets drained, this may be an indication of a sewer line clog. If you do not have your pipe checked, you may end up with having every drain in the house getting blocked. You will notice that water backs up instead of flowing easily down the drain. Tree roots, leaves, broken pipes, and debris are the more common reasons for the sewer pipe to clog. Avoid the problem by making sure that nothing solid – sanitary napkins, tissue paper, chicken bones, and the like, gets into the drain. 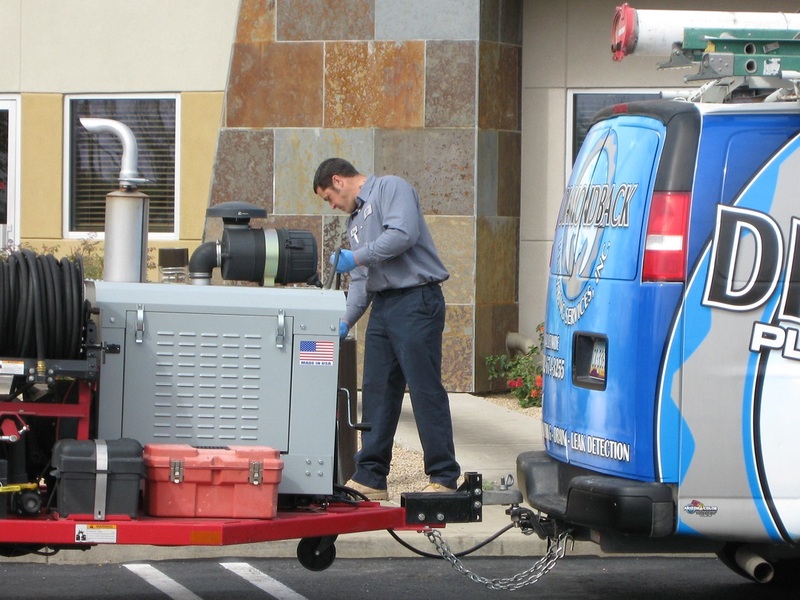 Diamondback Plumbing Scottsdale has a team of reliable expert technicians. We also make sure that we use only the best practices and up-to-date techniques for removing clogs. We use industrial-grade cable machines, plumber’s snakes and hydro jetting to unclog sewer lines. We also use high-pressure water jets to eliminate the most stubborn of clogs. State-of-the-art jetting techniques are quick, economical, and environmentally friendly. The use of hydro pressure has several advantages. It is a strong and effective way for breaking up sludge and debris. It cuts out scales. It emulsifies grease, penetrates through the clog, and effectively flushes out the plumbing system to remove debris. Hydro jetting and pressure cleaning are tried-and-tested techniques to clear out stubborn clogs. The techniques are also used for the preventive maintenance of residential pipes. Regular hydro-jet cleaning loosens hardened material from the insides of your pipes and prevents the build-up of sand, grease, debris and other similar material that can cause clogging. Jetting helps your pipes run at optimum performance at all times. It keeps your pipes clean by flushing out debris. It increases the flow and efficiency of your drain and sewer lines. It saves you money and time. Our skilled technicians will check your drain and sewer lines and recommend solutions best suited for your drain needs. We take your requirements into account and offer viable solutions to ensure that your drains remain in tiptop working condition. All our work is always completed per UPC/IRC code. *No overtime charges apply only for hours of service between 6am-9pm.